EVERYBODY’S SCALIN’ – SPHERO LIGHTNING MCQUEEN « Big Squid RC – RC Car and Truck News, Reviews, Videos, and More! So, we are four days away from Christmas and I couldn’t help but pick up an early gift. Last week I saw my little boy watching something on YouTube Kids. It was a video on the Sphero Ultimate Lightning McQueen. Normally, I am pretty good at keeping up with what is out or is coming out but for some reason this one had slipped by me. 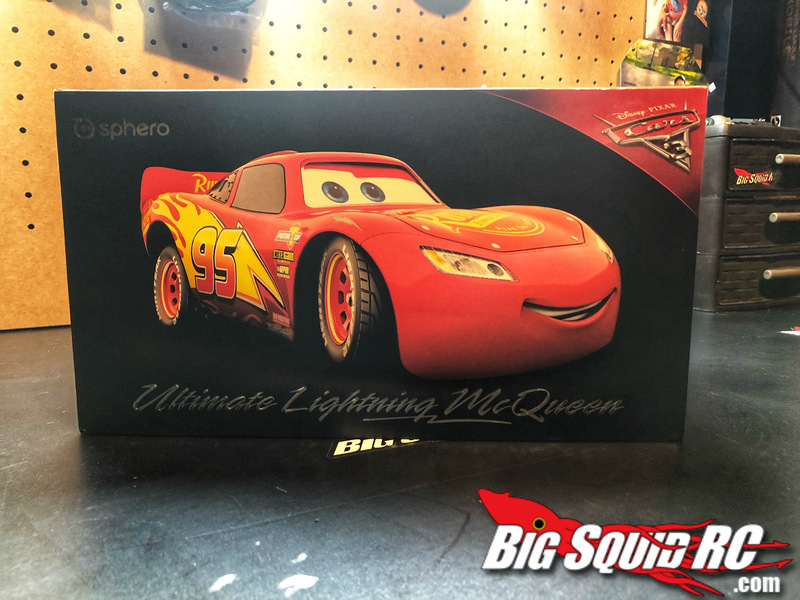 No, it’s not hobby grade but like the Ultimate Batmobile, The Sphero Ultimate Lightning McQueen is definitely worth a once over! 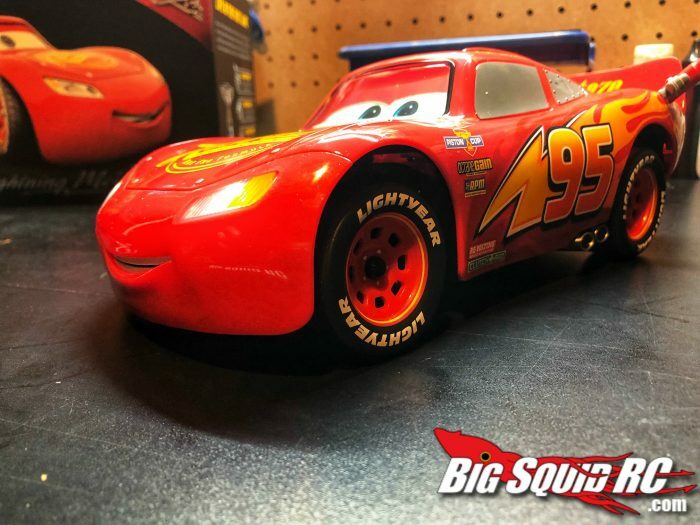 After about a day of searching around for info on this little guy I came across a post Big Squid put out in May of 2017 about the Ultimate McQueen. That’s all I needed to see to justify buying this very expensive toy grade RC. What really got my attention was all the interaction Lighting McQueen can do. For example, there is a script option. This lets you pick from a long list of phrases to stream together. Once you have your script filled out you can play it and McQueen will act it out all while driving around or just sitting still. The LCD screen for eyes along with the mouth moving give you the sense of what it would be like to hang out with the character. 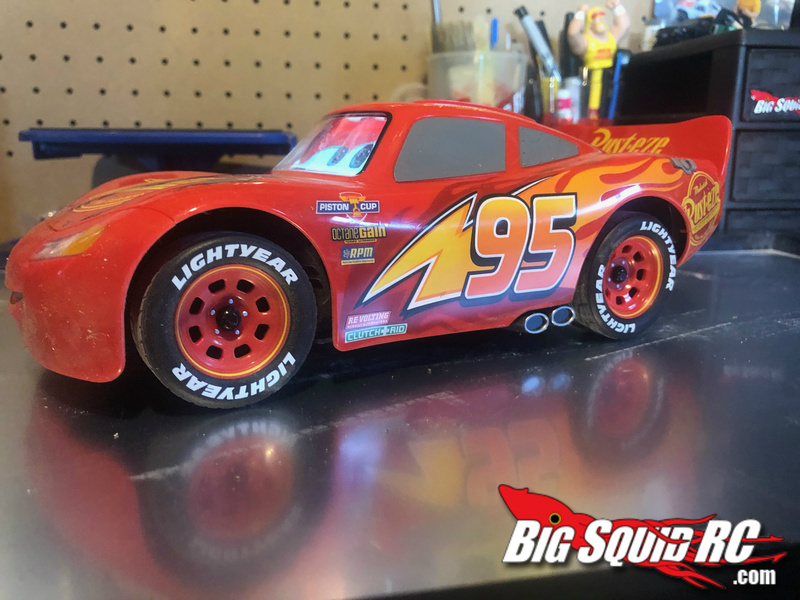 Aside from having a talking RC car the driving of the Ultimate McQueen is actually not bad. I will make one suggestion, switch the controls in the settings to RC. 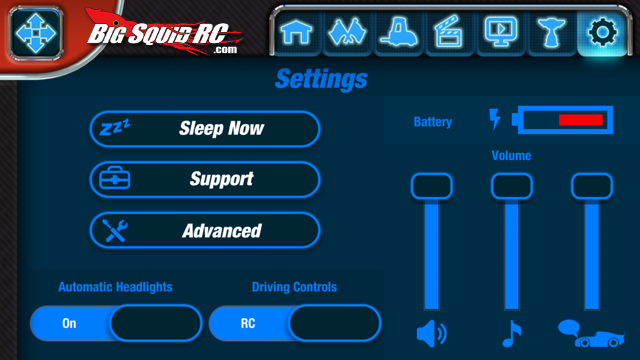 For some reason if you are using the Sphero driving controls it just doesn’t have the same quick response as the RC controls. 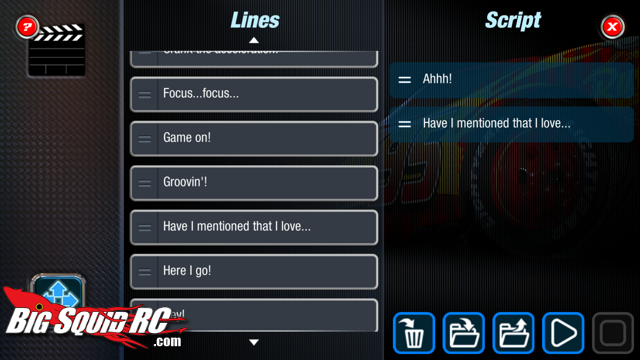 There are also a hand full of mini games in the app used to control the Ultimate Lightning McQueen. 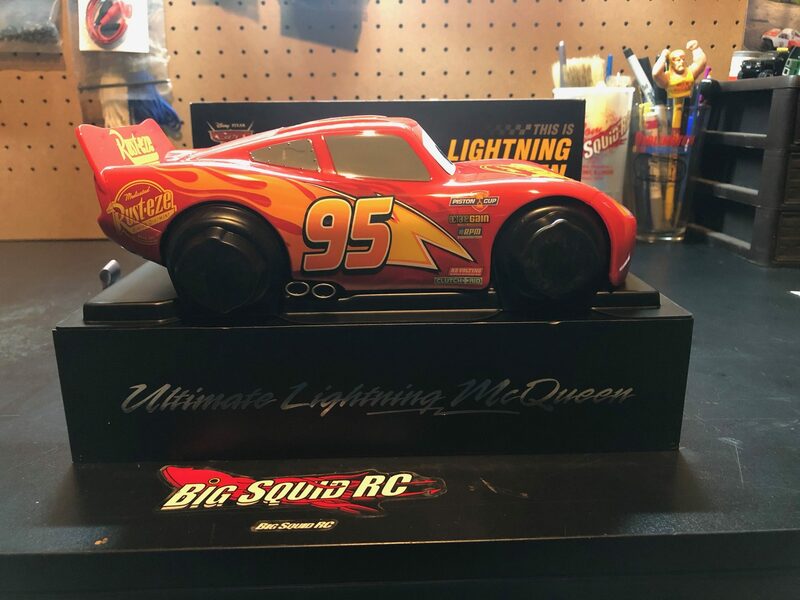 If you are going to watch any of the Cars movies with the Ultimate Lightning McQueen he will react to all three movies and to be honest it’s kind of creepy at times. Obviously, I wasn’t expecting a lot of speed out of this little guy but for a fun little toy it is not half bad. You can even get him to do donuts. 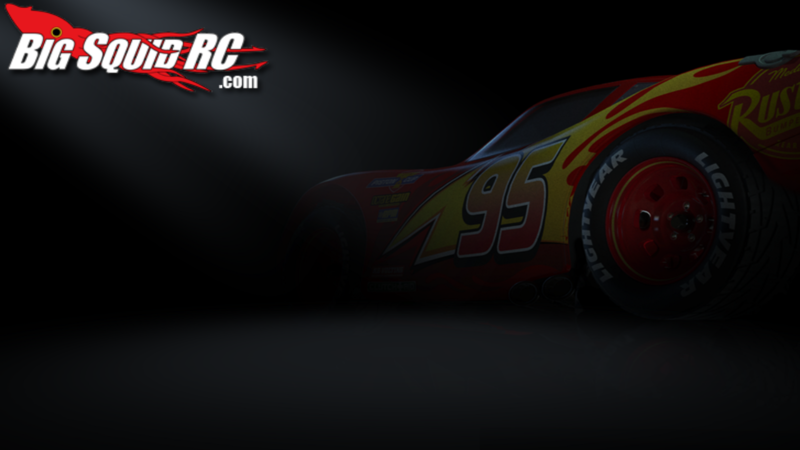 I do however think that Sphero could’ve made the Ultimate Lightning McQueen a little bigger. 9 ½ long and 4 ½ wide is just not big enough for this little guy. But then the price would have definitely been higher and having a street Price of $299.00 is already expensive; you can find them cheaper now for about $150 to $200. The size isn’t all that bad next to the Tamiya Globeliner, it’s close to scale. So that can only mean one thing. And that is to build Mack out of my Tamiya Globeliner. Sure, why not tack on another build, right. I know this weeks Everybody’s Scalin’ is not exactly in the category of the scale world but by now you probably understand that I tend to go off the wall every now and then. 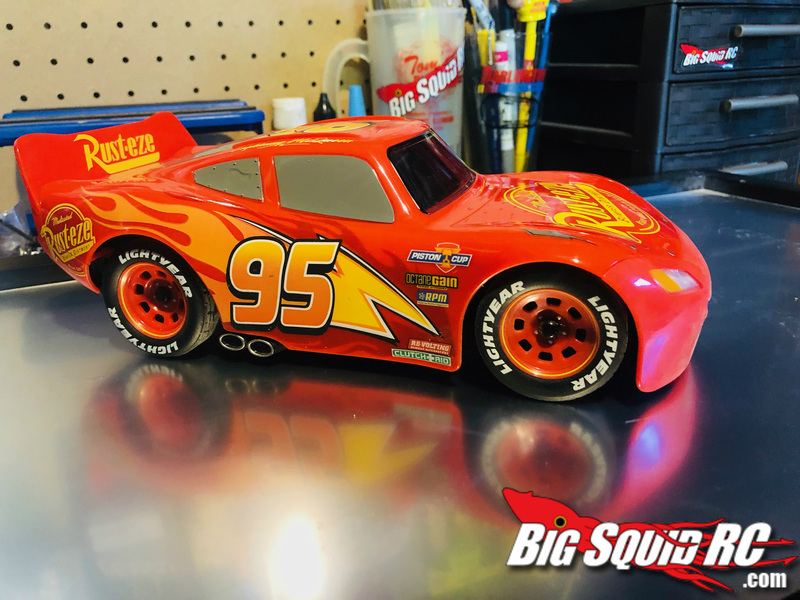 Doesn’t matter if it’s the most scale rig ever made or a unique toy grade. If it’s something special, you know I will probably talk about it. You can’t blame me, this is actually a really cool car to have. 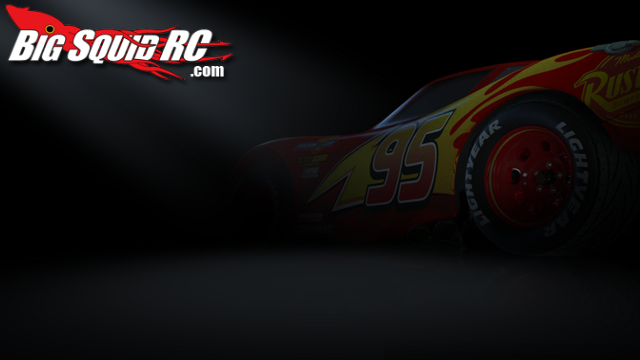 Not to mention taking the Ultimate Lightning McQueen to an event would definitely be an eye-catching piece. Now, I have to put this little hot rod back in his box and make it seem like I never opened my Christmas gift. I hope everyone has a great Christmas filled with lots of RC and Family! Till next time keep Scalin’! And don’t forget to enter our Big Squid RC giveaway for a chance to win an ARRMA GRANITE 4X4 3S BLX Monster Truck!